Activities and lifestyle choices you should think about. Which activities can be done while receiving care at home after leaving an assisted living facility? It may have been months since you’ve last been home. Preparing for your big move may leave you anxious. You may even be up at night debating the many home care questions that are on your mind. Home care inquiries that can make a difference. Just like every big decision, a home care agency should be selected with the right strategy. Compare notes regarding what agencies make you feel like and how they treat you from the very beginning. Find out about a friend or relative that already inquired about home care. What does he/ she say about the aide and agency? Be prepared with the knowledge involving an insurance switch. Is the switch advisable? Will your doctor remain your PCP? Without the proper knowledge, many patients face an insurance plan which doesn’t cover doctor visits with the practitioner they know and trust. Speak to a care coordinator at your home care agency about the right care at home. Home care questions you will now know to ask. Your independence depends on many factors, one of them being the separation of wrong information from the right information. You’ve probably read an awful lot about home care agencies. Preparing a list of questions before your first meeting can help you drive the process. If not, does private pay mean I need to pay or does my private insurance carrier take the tab? How can I qualify for 24-hour shifts? Does my doctor need to refer a home care agency? Am I eligible to receive my own family member as a caregiver? What will my caregiver be required to do? Do I get to speak to someone at the agency if I’m not happy? 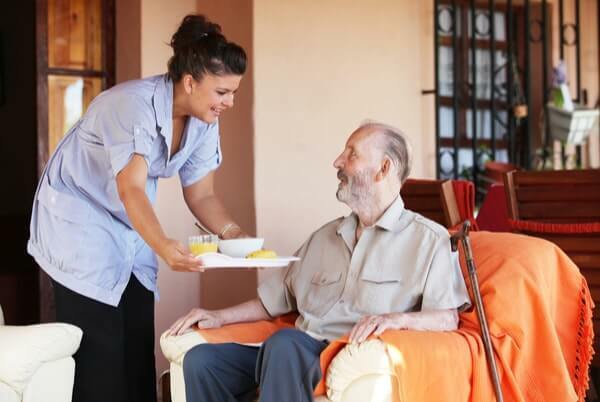 Does home care involve medical care at home or just assistance? Home care activities that can make you feel in control. Join a senior program or other class such as pottery, art, baking, etc. Home care therapy options that maintain your mobility and strength. Once you get back home, it’s important to continue remaining in sync with your muscle flexing and mobility exercises. A home care physical therapist can visit your home to help you continue your care regimen or just refresh your exercises. If you feel pain, notify your primary care physician to refer the right at home therapist to help you feel your best. Being well prepared is the very best way that you’ll want to come home and thrive thereafter. Your own bed and schedule are waiting for you and a home health aide will only be an advantage if you prepare for the change properly.